The new OnLive still can't shake off the effects of the painful demise through which its predecessor went. 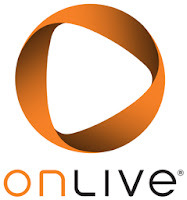 New details are still trickling out on what really went down during OnLive's ABC bankruptcy. Now the San Jose Mercury News and The Verge have obtained a copy of a formal letter sent from OnLive's assignee in the ABC bankruptcy process Insolvency Services Group (ISG) to the company's creditors. According to that formal letter, Gary Lauder, the new owner and chairman of OnLive, created a new company named OL2 on August 14th. That was three days before the company conducted mass layoffs on Friday, August 17th, with about half of the employees laid off. Then he acquired nearly all of OnLive's assets which also included their intellectual property and the name "OnLive" itself for only $4.8 million, and transferred them to the new OL2 company. That way he ensured the uninterrupted functioning of the OnLive cloud gaming service and of the new company. One could think how is it possible that a company that was not long ago reportedly valued at $1.8 billion could be sold for a meager sum of $4.8 million. Especially when their biggest rival in the cloud gaming arena Gaikai, that was valued much lower, was sold to Sony for $380 million. Not long after OnLive's ABC bankruptcy, Insolvency Services Group CEO Joel Weinberg said that OnLive had failed to find a buyer despite shopping itself around and was facing a complete shutdown of its services. He said that OnLive was in dire straits. It only had days to live in terms of cash flow and the like. Something had to be done immediately or there would have been a hard shutdown, which would have been a disaster. The Assignee concluded, in light of OnLive utilizing all of its remaining cash on hand to satisfy its final payroll obligations, that had the sale to the Buyer not taken place, the Assignee would have been left with inadequate capital to fund the significant costs to preserve and market OnLive’s patents and other intellectual property, thus greatly reducing expected recoveries essentially to those of a forced piecemeal auction. The sale that was concluded with the Buyer will likely result in funds being available to pay a dividend to general unsecured creditors. The Assignee’s conclusions are supported by independent valuations of assets commissioned by the Assignee. According to this excerpt the assignee Insolvency Services Group (ISG) believed that selling OnLive to Gary Lauder was the best possible outcome, and that was confirmed by independent third-party valuations. The San Jose Mercury News is also reporting that OnLive also has many smaller creditors, some of whom are owed thousands of dollars. For some of the creditors OnLive's ABC bankruptcy is an unfortunate event for their future well-being. 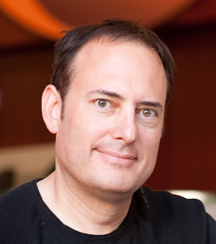 As a startup OnLive was burning through cash at a fast rate without making a lot of money. Subsequently they came into this difficult situation due to them being unable to secure additional funding from investors in the second quarter of this year, and they also couldn't find a buyer. 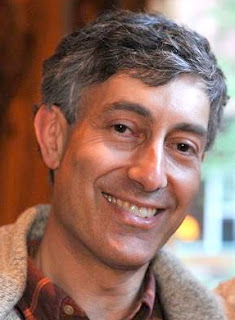 Whether this was due to founder and former CEO Steve Perlman's problematic character only he himself and the people who worked closely with him know, though there were some hints that way, maybe the full truth will be revealed at some point in the future. eToro is the best forex trading platform for novice and full-time traders.